Episode 68: Burning Down the House(Rules)! 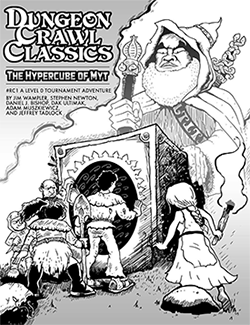 We love DCC RPG, but you know what makes it even better? Putting your own customized home table stamp right on the game you play. We asked the Spellburnt legions to send us some houserules and you did! We’ll review the lot, yak about the pros and cons and I’m going to try my damndest to make each one of us adopt one of these houserules tonight for our next session! All this and more on the next episode of the Kids-tested, Hobbs-approved Spellburn! Updated blog post for Marc Elsenheimer’s House Rules! Julio Manganaro Silva’s Advancement Chart! Great episode, Spellburners! I wanted to let you know there’s an easy way to flip around rolling under an attribute to make high rolls good. Roll the d20 and add the attribute instead. If you get a 21 or more, you succeed! The math does change though once you change the die type. Intriguing.. it’s not worse than trying to hit the 12/18 target #s in C&C. Hey guys, thanks for the shout out on the show. Just a clarification, the Western DCC adventure in the link (The Last Will and Testament of Obediah Felkner) is separate from the DCC Halloween adventure for Goodman Games. Happy dice rolling! Doh! Sorry Stephen, but looking forward to both!